Obstetricians may be a pregnant woman’s primary professional source of information about her infant prior to the birth, but infant safe sleep knowledge, attitudes and behaviors of this population are unknown. 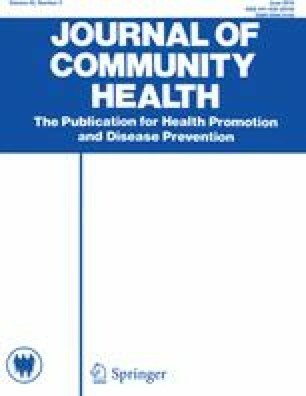 This study explores obstetric physicians’ knowledge, attitudes, and behaviors related to Sudden Infant Death Syndrome and infant safe sleep and identifies barriers as well as enabling and/or reinforcing factors associated with providing infant safe sleep education in the prenatal environment. A cross-sectional survey was conducted with obstetric physicians who provide prenatal healthcare to women in Ohio. Surveys were sent to all licensed physicians included in the registry of the State Medical Board of Ohio with “obstetrics,” “obstetrics and gynecology,” or “maternal and fetal medicine” as their primary specialty (n = 1771). The response rate was 30%, with 418 physicians included in the analysis. Many participants were knowledgeable about infant safe sleep recommendations; however, only 55% indicated that it was important for obstetric physicians to discuss Sudden Infant Death Syndrome and/or infant safe sleep with prenatal patients. Many participants (70%) perceived barriers to providing infant safe sleep education, however most (82%) indicated interest in doing so. Participants’ knowledge and attitudes were significant predictors of whether they discuss this topic with patients. Obstetric physicians can influence the infant safe sleep decisions that women make. Improving obstetricians’ knowledge and attitudes about infant safe sleep and supporting physicians who wish to provide education on this topic may help to ensure that women are receiving frequent and consistent infant safe sleep messaging throughout the prenatal period. A research Grant to support this study was provided by the Center for Injury Research and Policy at Nationwide Children’s Hospital through Grant # 1R49 CE002106. Author Nichole L. Hodges also received research support from The Ohio State University College of Public Health. The contents are solely the responsibility of the authors and do not necessarily represent the views of the funding agencies. The authors declare that they have no conflict of interest relevant to this study. Centers for Disease Control and Prevention. (2017). Sudden unexpected infant deaths and sudden infant death syndrome: About SUID and SIDS. Retrieved July 29, 2017, from https://www.cdc.gov/sids/AboutSUIDandSIDS.htm. Centers for Disease Control and Prevention. (2017). Sudden unexpected infant deaths and sudden infant death syndrome: Data and statistics. Retrieved March 7, 2016, from http://www.cdc.gov/sids/data.htm. Centers for Disease Control and Prevention. CDC WONDER (Wide-Ranging Online Data for Epidemiologic Research). Retrieved July 29, 2017, from https://wonder.cdc.gov/. Centers for Disease Control and Prevention National Center for Health Statistics. Infant mortality rates by state. 2015. Retrieved July 29, 2017, from https://www.cdc.gov/nchs/pressroom/sosmap/infant_mortality_rates/infant_mortality.htm. Ohio Department of Health, & Ohio Children’s Trust Fund. Ohio child fatality review sixteenth annual report. 2016. Retrieved July 29, 2017, from https://www.odh.ohio.gov/-/media/ODH/ASSETS/Files/cfhs/Ohio-Childhood-Fatality-Review-16th-Annual-Report.pdf?la=en. American Association for Public Opinion Research. (2015). Standard Definitions: Final Dispositions of Case Codes and Outcome Rates for Surveys (8th edn.). Retrieved March 3, 2016, from http://www.aapor.org/Standards-Ethics/Standard-Definitions-(1).aspx. Ohio General Assembly. Ohio General Assembly Archives. Amended Substitute Senate Bill Number 276. 130th General Assembly. Retrieved August 27, 2017, from http://archives.legislature.state.oh.us/bills.cfm?ID=130_SB_276.